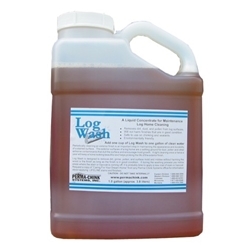 Log Wash is the best product to use for cleaning all bare wood surfaces. 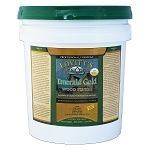 Its low pH formula is compatible with the chemistry of wood which prevents unwanted reactions that can darken or discolor bare wood surfaces. Besides removing dirt, dust, mold, pollen and sanding and blasting media residue Log Wash will remove many types of bare wood discolorations including brown chemical stains. We strongly recommend that all bare wood surfaces be washed and conditioned with a Log Wash solution before applying any Lifeline finish systems. 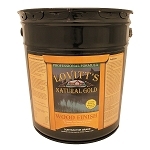 My husband used this and says this product is easy to use and the results were pretty good but we should have tried the lovitts cleaner as we did last time and got better results.